As a partnership we have two bases, one in Cardiff and the other in Gilfach Goch located between Porth and Bridgend, so we can cover a wider area for call outs and home maintenance visits. Are engineers are fully gas safe registered and trained to carry out installation, service and maintenance on all your gas appliances. 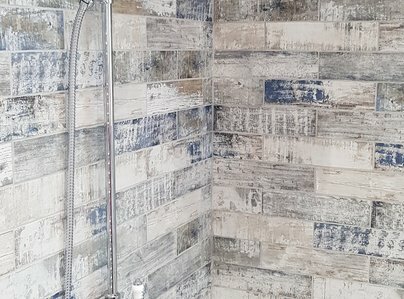 We offer a specialist bathroom design and installation service, so whether you’re planning for a new bathroom, changing the layout, or just looking for a bathroom makeover we can help. We are committed to helping our customer to not only maximise your space but also working within your budget. At Green Flame Plumbing and Heating we offer energy saving solutions when installing a new boiler or full central heating system, advising on how best you can set out your new boiler from thermostatic radiator valves to wireless wifi enabled programmable thermostats that can be controlled from your smart phone. We are a fully insured reliable hardworking team happy to help. Complete bathroom refurbishment done by James and the team. Delivered on time, even though it was gutted completely. Advice given on the wall boards was spot on, so glad I chose the wood based ones. Price quoted was very very reasonable for the work needed, and to top it off the boys were brilliant nothing was too much trouble even when I changed my mind!! Never known men to work so clean and tidy. Great job, thank you boys will recommend to everyone. Thank you to Which Trusted Traders for enabling me to find James at Green Flame Plumbing. I rang James, asking him to service my boiler after my usual plumber had left me down after much effort on my part. James was most helpful and booked me in quite quickly. I found him to be a very pleasant young man. After the service, he checked out a leak that had come through my ceiling. He went up into the attic and discovered a tear in the roof felt. He refused to take any payment for this. I received excellent service, and James has agreed to do my annual service. I would be happy to recommend him to anyone. Well Pleased. Pontyclun. We had a lovely new bathroom fitted by Siôn and James. This included boarding the walls and floor, a new bathroom suite, tiling and electrics. We were really happy with the result and would recommend Green Flame Plumbing. They were always prompt, communicated any changes needed, good at finishing the job (prepared to come back to finish last bits) and tidied up after each day. They completed the job on time, too. Plus they are nice, friendly people to have in your home, which is important! James and his team replaced/moved 7 radiators in one day. No fuss, no mess, great work and for a very good price. I would absolutely recommend using them. James and crew fitted an unvented cylinder for us, converted our heating to a pressurised system and switched out old gate valves. The pipework needed was really complicated and the result was so neat and precise it's practically a work of art! The professionalism of the team was outstanding, showing a real dedication to getting us the outcome we wanted. As an added bonus, James even did some extra plumbing work I hadn't got round to while he was waiting for the system to fill! I couldn't have asked more from this team and the result has worked flawlessly for the past six months now. Cannot recommend highly enough! James attended our property at the time agreed,he fully dismantled and serviced our boiler and explained the procedure,he refitted and tested boiler was working. James is very polite, courteous and chatty and always cleans up after himself, James is very professional in his job and i would highly recommend him to anyone looking for a plumber.We have now agreed with James that he is our boiler service engineer from now on. James attended my property at the correct time we agreed,he drained the heating system and fitted a new designer radiator in my daughters basement bedroom and also fitted a new towel radiator in our upstairs bathroom. James is very pleasant,chatty and always explains what he has done and to always contact him if any issues arise. James is a clean worker and always cleans up his mess after him. I would recommend James to anyone looking for a professional plumber as he is polite, courteous and very helpful and if he is busy he will always try and fit you in as soon as possible. James is polite, turns up on time and carries out the work quickly and efficiently leaving everything tidy and clean. Excellent service, would recommend! Annual service on central heating and boiler. Very reliable, friendly and genuine company. I was more than pleased. Excellent service. Price/cost was very good I was very impressed considering the service was so thorough and all the problems were rectified. I would recommend 'Green Flame' to all my family and friends and I would not consider contacting anyone else. Well done. Keep up the good work.